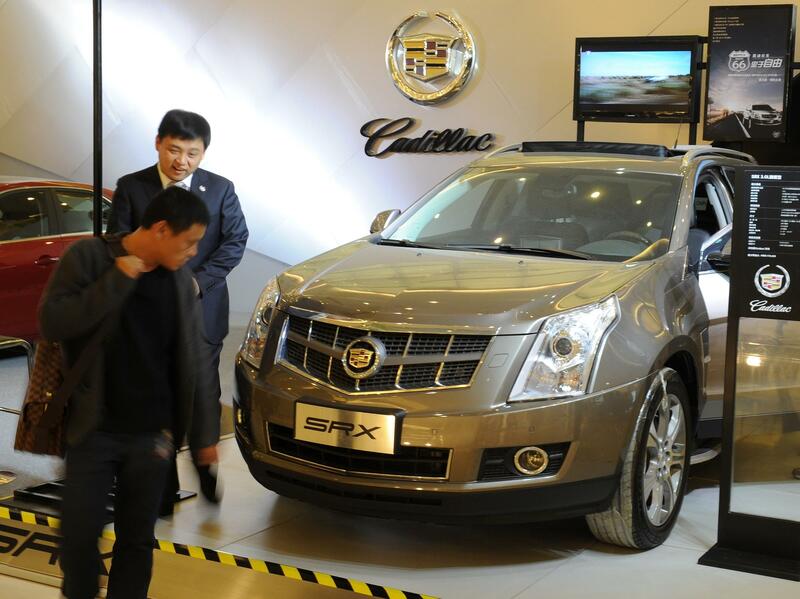 A Cadillac salesmen talks with a potential customer at a shopping mall in Beijing in 2011. This week, China announced moves that could pave the way for new sales for some foreign automakers. To sell a car in China, companies everyone knows, like Toyota and Volkswagen, have to partner up with Chinese automakers. This means they have to share the cost of owning the plant, the cost of labor and in the profits from the sales. These automakers that are foreign to China cannot own more than 50 percent of a Chinese automaker. China created the policy in the early 1990s to help Chinese companies gain expertise from more technically advanced car companies. China says it will lift its restrictions on new cars that use new kinds of fuels, such as hydrogen, immediately, and electric cars by 2022. American and European automakers that team up with these Chinese carmakers have expressed concern over their intellectual property rights. Carmakers fear that their Chinese partners will steal their trade secrets, especially when it comes to advanced technology such as self-driving cars. The U.S. has its own 25 percent tariff on foreign-made trucks, except for those produced in Mexico and Canada, thanks to the North American Free Trade Agreement. It's called the "chicken tax," which NPR has reported on. The tariff on trucks came about because of a trade dispute between the U.S. and Germany. Pickups are a significant part of U.S. car sales and profits, and American car companies have benefited greatly. China's move to undo barriers on electric cars could put pressure on the U.S. to undo its tariffs on foreign-made trucks. What's clear is that China has a big incentive to make it easier for companies to sell electric and other low-emission vehicles. The Chinese government has made a commitment to clean up its air by 2035. Air pollution is one of the political risks for President Xi Jinping's government. The easier rules on car company ownership are due to take effect in 2022.